The American Red Cross Greater Phoenix Chapter offers Phoenix and Scottsdale area residents a wide variety of training courses in first aid, CPR, AED, lifeguarding, swimming, babysitting, caregiving and other areas for individuals and organizations, striving to provide people with the skills to respond during an emergency at home, at school or in the workplace. The Red Cross is widely regarded as the most trusted provider of health and safety training that meets Occupational Safety & Health Administration guidelines and many other professional and regulatory standards. Training classes are available for people of any age, and for scheduling flexibility, they’re conducted in online and traditional classroom settings. A Red Cross instructor comes to your facility and trains your employees at a time that works best for you – during the day, at night, even on weekends. Training includes half-day and full-day first aid, CPR and AED courses, as well as one-hour emergency preparedness presentations. To book a training session, click here. Work with the Red Cross to develop your own in-house training team. 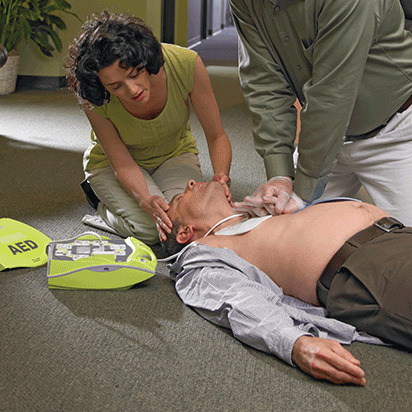 Have your employees trained to provide first aid, CPR and disaster preparedness courses on site at your workplace. This option allows you to schedule training at your convenience, with instructors who are familiar with your organization’s specific emergency procedures. To book a training session, click here.